Early Irish Sterling Silver Dish, Dublin, rubbed city and date mark, bearing the conjoined "TB" mark for Thomas Bolton (1658-1736), circular with a shallowly lobed rim, dia. 5 1/8 in., approx. 2.8 troy oz. Provenance: Purportedly purchased from James Weldon, Dublin, in 2002. N.B. 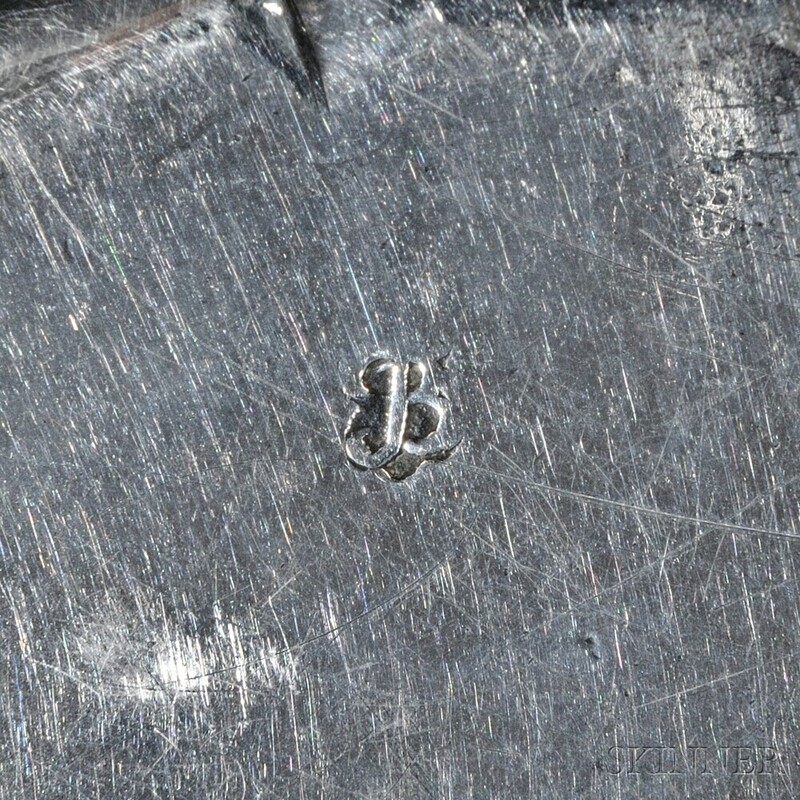 The shape of the cartouche in this mark is consistent with early Bolton hallmarks recorded on other pieces dated c. 1700. Wear to surface throughout, scattered pitting, abrasions, and pin-prick dents.